Disney Infinity ended in 2016, Lego Dimensions ended about a year and a half later in 2017, and while Activision’s Skylanders hasn’t throw in the towel officially, its taking a year off is very telling that the series is on shaky ground. Started in 2011 with Skylanders: Spryo’s Adventure, the toys-to-life genre of games that allowed action figures to interact with a video game via specialized portals grew to dominate retail shelf space for many years but now excess unsold stock from these games line the shelves of dollar store chains selling for a fraction of the price they once commanded. Trends come and go in video games, just like anything else; A reflection of the past 10-15 years has seen developers and publishers try to emulate extreme sports games, rhythm games with plastic instrument peripherals and motion controlled party game compilations among others to try to capitalize on the success of a particular genre or game, and now toys-to-life will join the likes of Tony Hawk’s Pro Skater and Guitar Hero as games that topped sales charts but now struggle to stay relevant. 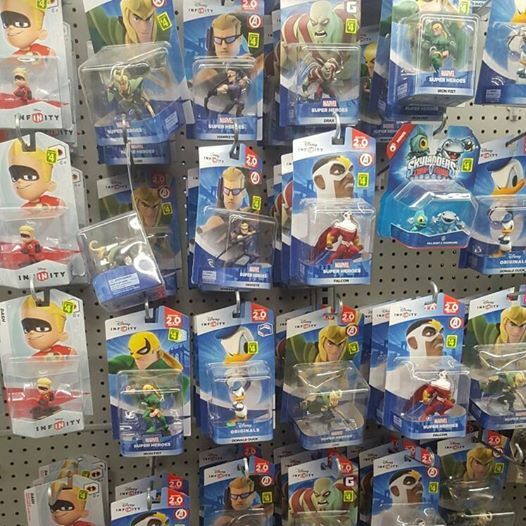 As someone who has sunk a lot of money into two toys-to-life games: Disney Infinity and Lego Dimensions, it’s been sad to see the shelf space for these game shrink in stores and the conversation around them go quiet. As much as I’ll miss both of these games and the future for both that may have been, there’s also a little bit of relief that has washed over me since each game’s respective cancellation. 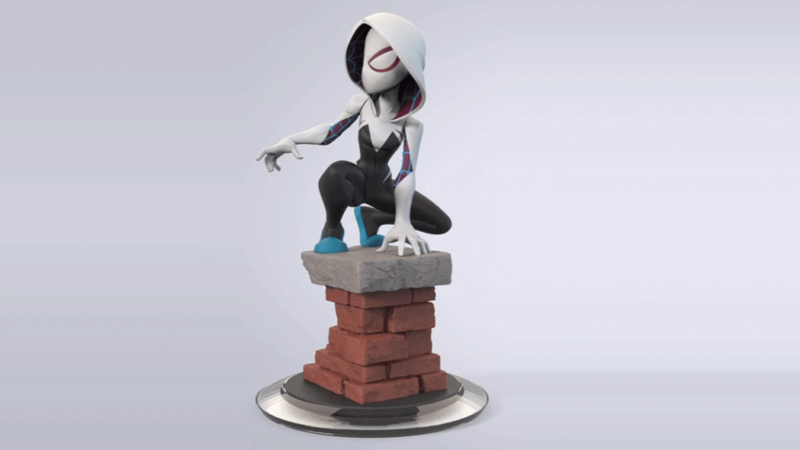 Even if you had no desire to play Disney Infinity, you can’t deny that the statues of the characters that were made to work with the game were terrific collectibles that looked great when placed on a shelf (which is why I’m sure Disney chose to continue on with a toy line inspired by Infinity, sans game). The direction chose for the figures made diverse properties like Star Wars, Marvel, Pixar and of course, Disney, all looked like they could exist in the same universe which was a big hook for Disney Infinity’s most talked about mode: the toybox where players could use whatever figure they wanted and create whatever they could imagine using the game’s creation tools. Lego Dimensions obviously stuck with the minifig design that has always been associated with the brand which weren’t as much fun to display as the figures of Disney Infinity, but what gave Dimensions a leg up was the fact that each pack came with something that had to be built with Lego pieces. No matter what age you are, it’ll never be not a blast to construct something with Lego bricks, especially when the end products are things like the Batmobile, the Ecto-1, and the DeLorean from Back to the Future. As someone who has always loved toys and collectibles, the rising costs of such things make them too expensive to justify buying, and with so much after your dollars, it’s a difficult thing to throw down over $30 CAD on an action figure when there are games that cost about the same or less. Infinity and Dimensions were cheaper alternatives to traditional action figures and Lego sets, and best of all, they did more than just sit on your shelf. If you even got into one of these games, whether that was Skylanders, Infinity or Dimensions, you know that eventually your shelves quickly got filled with plastic figures. As someone who went back-and-forth between two toys-to-life games, I have a lot of space claimed by Disney Infinity figures, minifigs and other Lego constructions. Of the two, Dimensions was probably a bigger offender than Infinity as while there were a lot of cool builds you had to put together like the above three mentioned examples, you also ended up with a lot of stuff that was unnecessary. As valuable as a character like Superman was when he came out, it was pretty pointless for him to have a flying machine and hilarious that Aquaman came with a submarine. By the time Lego Dimensions ended, I ended up with so many cars, creatures and robots that I barely used or didn’t use at all and most of that now lives in a tupperware container. Disney Infinity and Lego Dimensions both had a similar hook: putting toys on a portal that then brought those toys to life in a video game, but both couldn’t have been more different from one another. Initially Disney Infinity’s play set campaigns were generic action plat-formers but by the time the 3.0 edition rolled around, you had a game with terrific combat from the folks at Ninja Theory in the Star Wars sets, a kart racer, a great co-op platformer with a lot of great ideas in the Inside Out set and a terrific 3-D arena fighting game in the form of Marvel Battlegrounds. Lego Dimensions played like a lot of the standalone Lego titles, but the way it utilized the portal to solve puzzles like having to move characters to lit up sections to make them shrink or grow and opened up portals within levels depending on what part of the portal a character was standing on was a stroke of genius. Dimensions’ campaign also made it one of the most fun Lego titles to play through as it was pure joy seeing what level would come next: Doctor Who? Portal? The Simpsons? Who knows! The way that TT Games made all of these brands talk to one another was also equally brilliant as you totally bought into the fact that all of these brands existed in the same space. As developers and publishers struggle with how to get people to keep coming back to their games, titles like Dimensions and Infinity kept you coming back with each new figure, play set and pack. Dimensions in particular made you revisit every single world you had access to as each new character granted you another ability to your roster that gave you more game to play. Each brand came with their own small, open adventure world to explore with gold bricks to collect and activities to complete, all dependant on what characters you had in your collection. This mostly has been an issue with Lego Dimensions in its second year as the decision to not make a Lego Dimensions 2 was both a good and awful decision. Good that you didn’t have a second portal and game to find space for as the game was updated via downloadable patches, but awful in that this caused Dimensions to be a frustrating game to come back to in its second. One of the issues that caused Dimensions to end was the fact that TT Games had to support the game on PS3 and PS4, Xbox 360 and Xbox One as well as the Wii U as this stretched the development team thin and it showed. Dimensions would suffer from crashes that would force you to replay through levels and each update caused all of your progress to erase. I spent hours completing the Harry Potter and Mission: Impossible worlds only to have all my progress made within them null once the November 2016 update came around that added Sonic the Hedgehog and this kept up until the last set of packs arrived in September. This made a game that you once looked forward to replaying a chore, and it made you want Dimensions to be over and relieved when it finally happened. When it was announced that Disney Infinity was ending, it was sad, but then the reports started coming out about what was in the pipeline, that just threw salt on an open wound: Figures for Doctor Strange and Spider-Gwen, premium deluxe figures, a gorgeous looking play set for Moana and a future 4.0 edition with a unified story across all brands and content for Guardians of the Galaxy Vol. 2 and Thor: Ragnarok. Infinity was just hitting its stride with the 3.0 edition, and it was terminated just as it felt like the series had finally figured out what it wanted to be. When Infinity died, it looked like at least some of its brands, most likely Disney and maybe Star Wars, would have carried over into Lego Dimensions but unless something is uncovered, I doubt any of this went beyond some conversations. For a brief moment though, your mind swam with the possibility of a game that had the potential to star Spider-Man and Superman. Getting into games in the toys-to-life genre was entirely voluntary, but that didn’t mean it still didn’t hurt to buy into them. When it launched in 2015, the starter pack for Lego Dimensions alone was over $100 CAD with the add-on packs being anywhere between $15-30, even $50 plus in year two. I’m sure it didn’t help towards the future of Dimensions, but I, like many I’m sure, waited for a lot of sales instead of buying things at full price unless it was something that I couldn’t wait for. 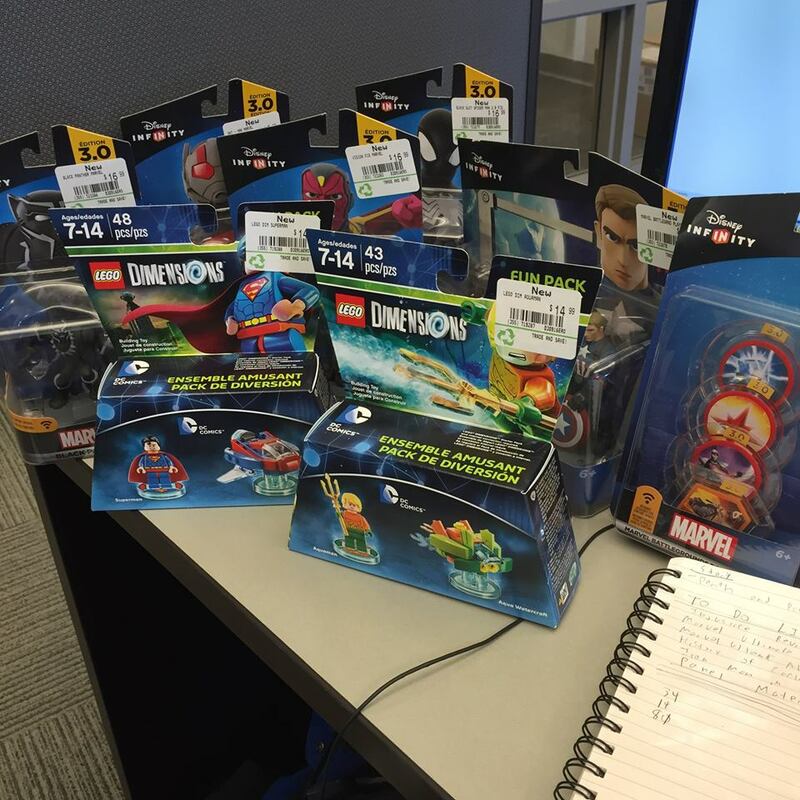 When Disney Infinity 2.0 arrived in 2014, it may have been one of the most expensive video game buying days in my entire life as I picked up the starter pack and then every single figure that was available at launch. Every. Single. One. Needless to say I’m glad I’m not a huge Star Wars fan who had to buy the 3.0 starter set, instead opting to buy the guts of the game on PSN for Marvel Battlegrounds until the deep cut sales started. My best friend doesn’t really play video games outside of the visual novel genre, but with Disney Infinity 3.0, I was able to convince them to play the Inside Out play set co-op with me and it was a lot of fun. They also enjoyed collecting gold bricks in the Harry Potter adventure world and playing through the Fantastic Beasts and Where to Find Them expansions when they came to Lego Dimensions last year as well. There hasn’t been a game that I’ve really connected with my brother over quite like Lego Dimensions since the PS1 era with us both getting it around the same time and shooting off countless texts about sales, getting new characters, and tips about how to get hard to get gold bricks. At the end of the day, it’s sad to see what could have become of the toys-to-life genre and the growing pains it had in its short life in the spotlight, but for how long games like Disney Infinity and Lego Dimensions were with us, they’ve created memories that will last us forever. Whether it was the magic of seeing toys come to life in a video game for the first time, building Lego sets or assembling an awesome collection of toys from some of the most beloved properties of all time, nothing was, or ever will quite be like the toys-to-life genre.